Circus Skills Workshop activity available to hire for Family Fun Day, Corporate and Community events in North Yorkshire, County Durham and the North East. 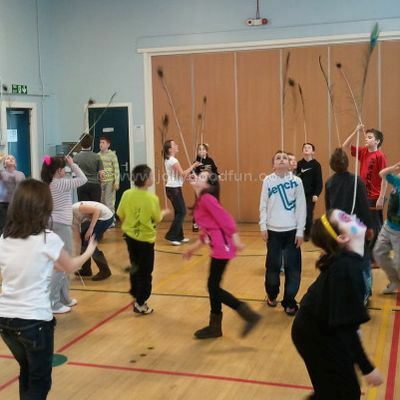 A Circus Skills Workshop is a great way to entertain children, teenagers and adults. Have short sessions of Circus Skills in the main arena to fill in between your other acts. You put the Circus Workshop in a designated area and run it as either a "Drop In" activity or in sessions for specific age groups and numbers. 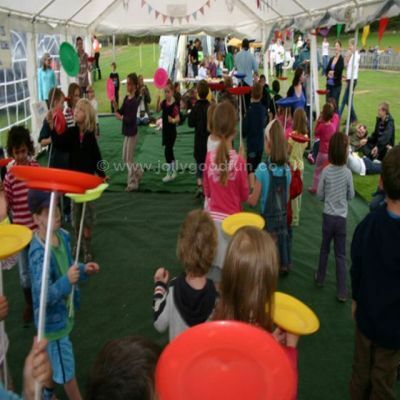 You can have Circus Skills as a filler activity between shows in your children's area. Book a Circus Skills Workshop for your next conference or team building day. 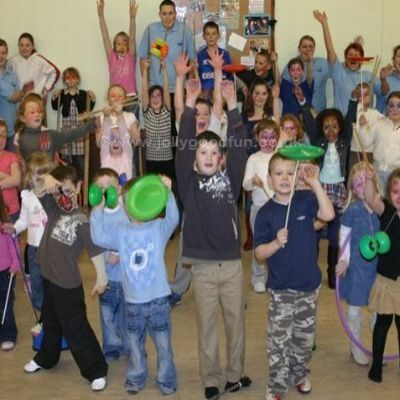 A Circus Skills Party is a great choice if you have older children. Ideal for children 8 years old and above! If you want two hours of full on activity, excitement and fun, properly organized with music, team games and prizes then this is for you. All you need to do is book the hall and bring the party food. Your Jolly Good Productions Circus Skills Birthday Party will include lots of different activities, something for everyone. They will love it! Can be indoors or outside. Can be set up at any event or party. Can be in sessions or ongoing. Could be used as a team game. Can be used to fill in between shows. Can be used as an ice breaker at a party or break out at a conference. It's lots of fun to do. Circus workshop at an event in Northumberland. Circus workshop taking place at a community centre in Middlesbrough. 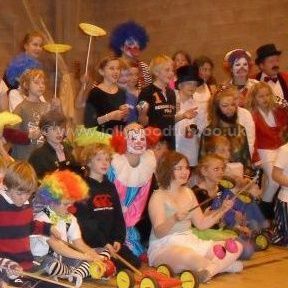 Circus workshop at a school in Easingwold.